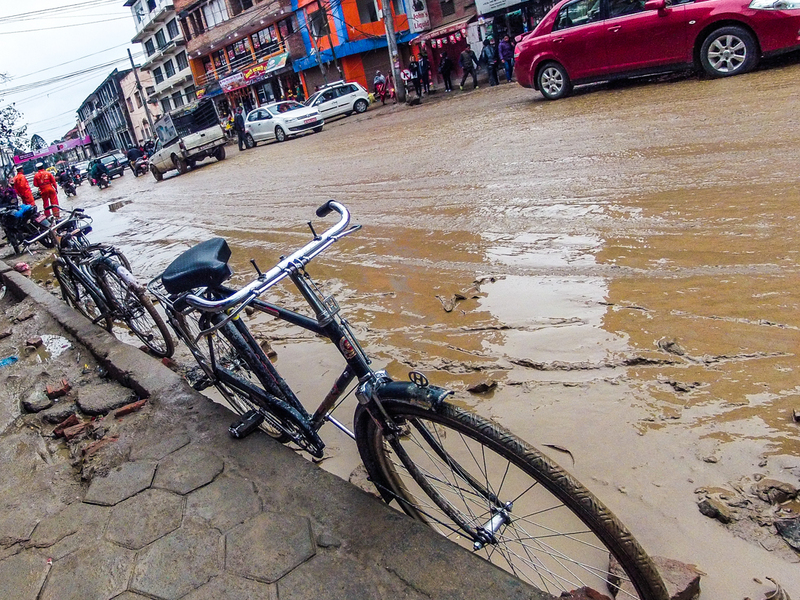 This small collection of images is from a walk in the Thamel district of Kathmandu (Nepal) in the rain (March 2nd, 2015). 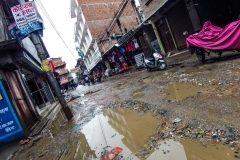 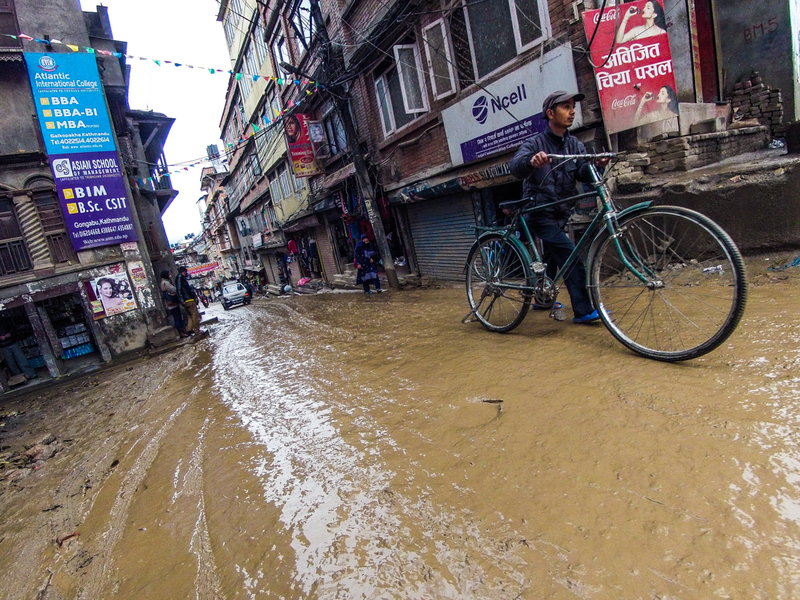 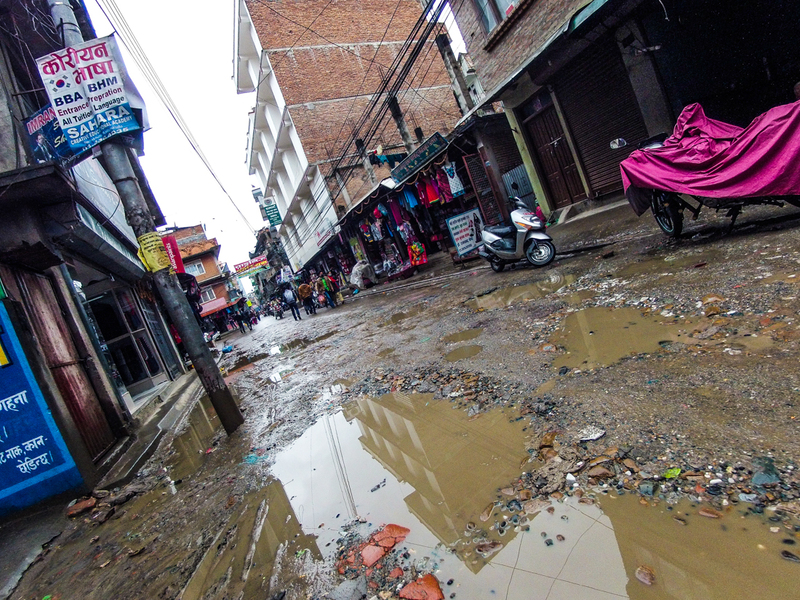 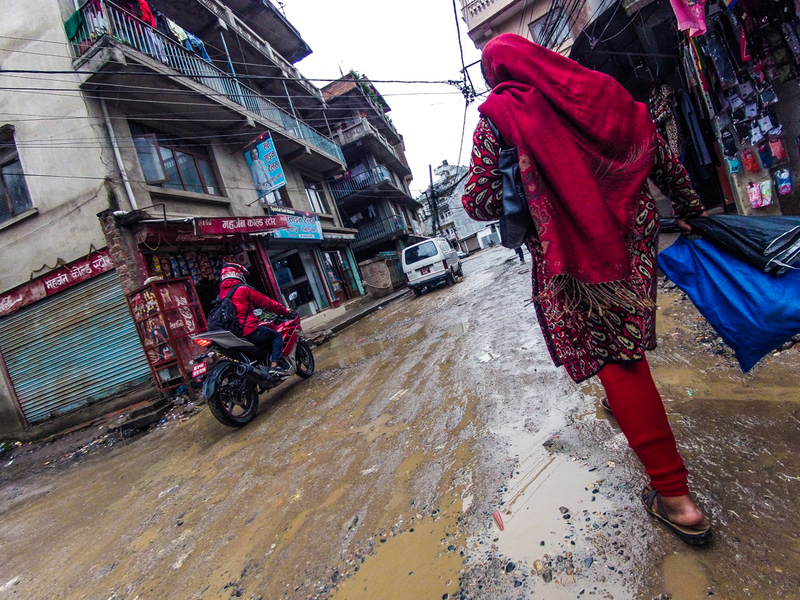 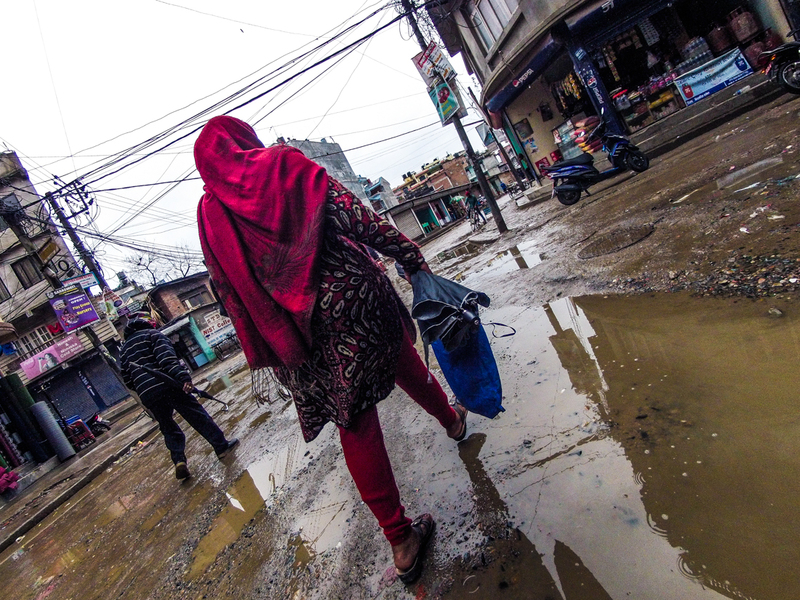 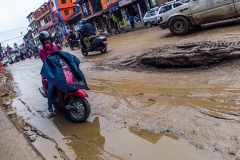 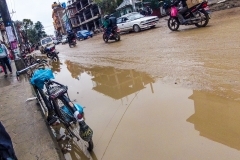 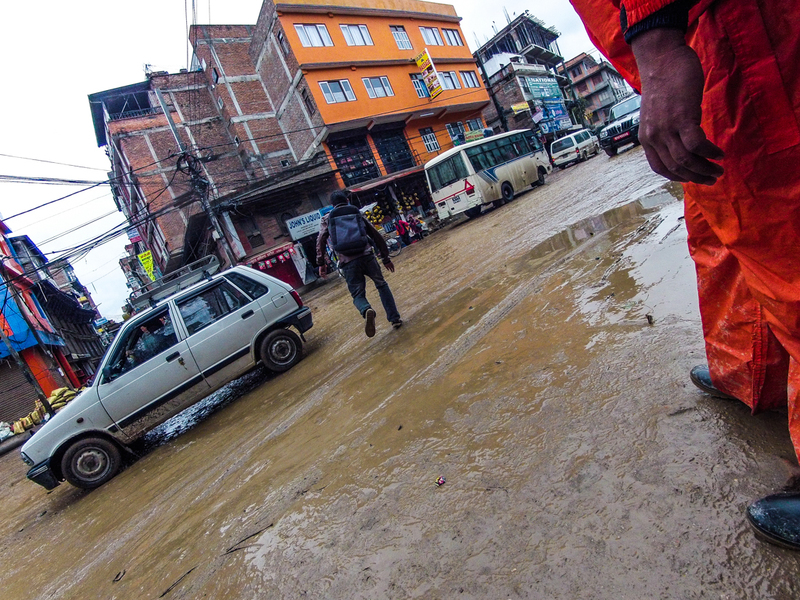 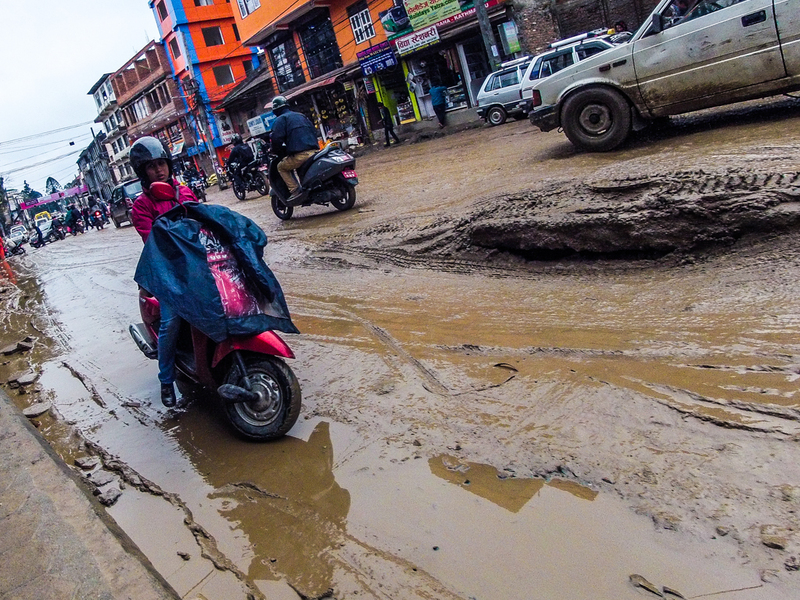 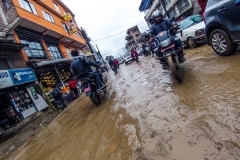 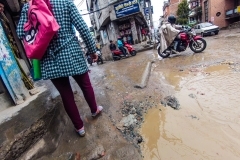 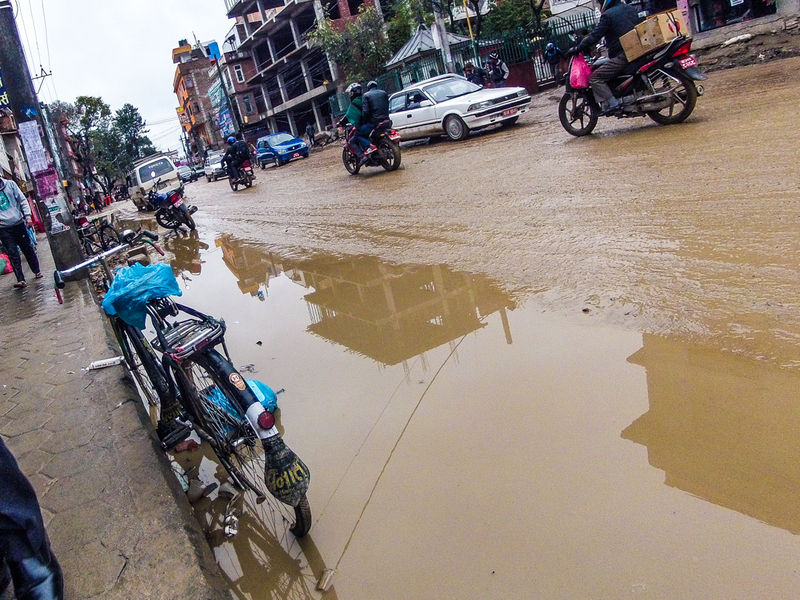 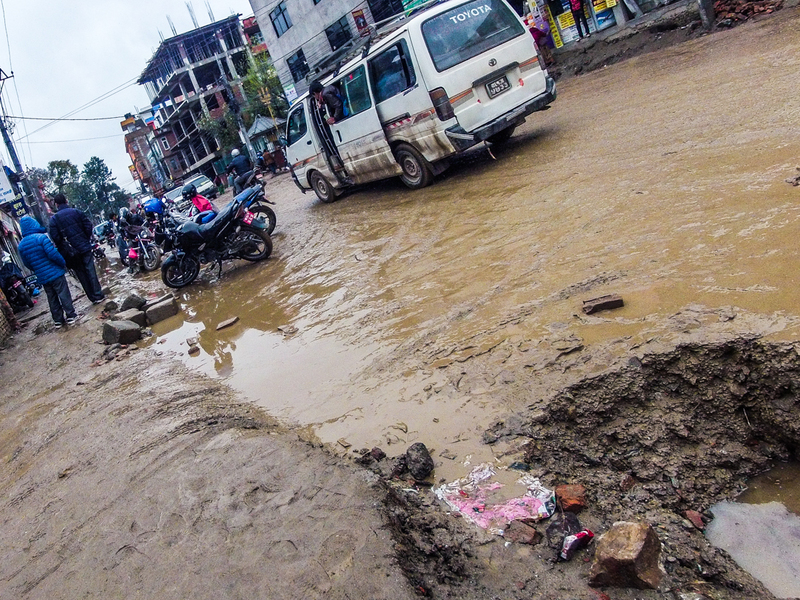 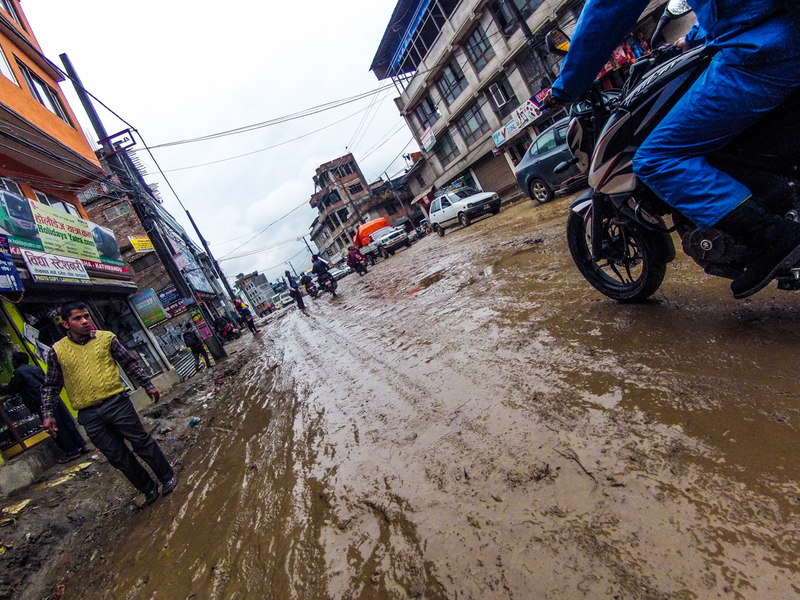 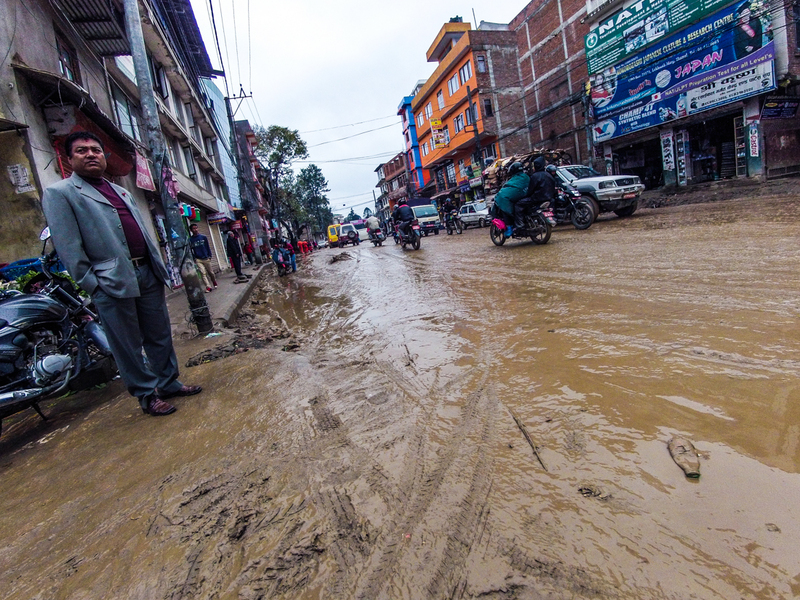 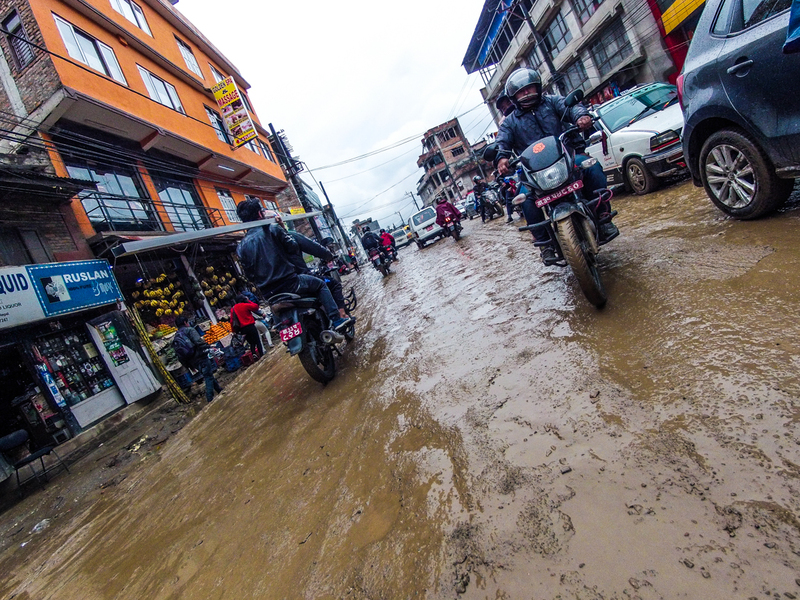 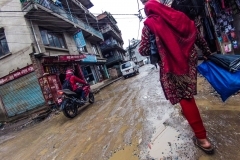 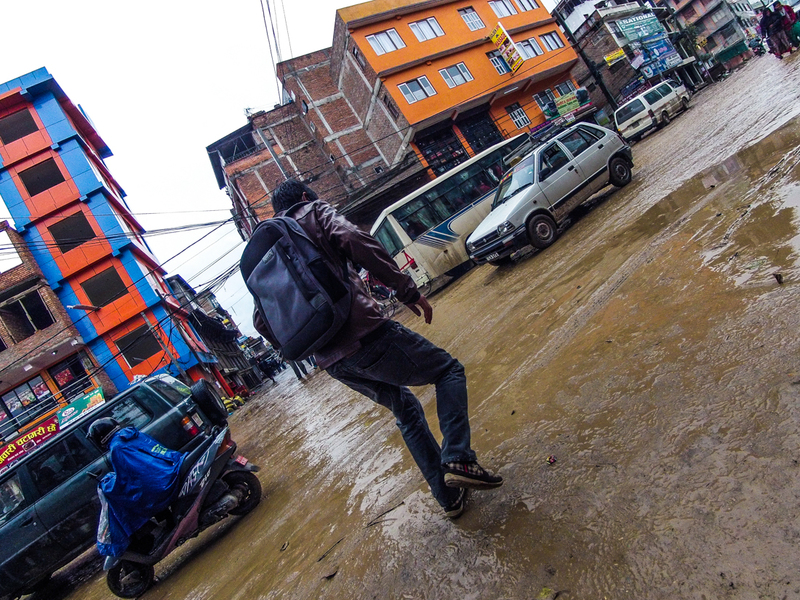 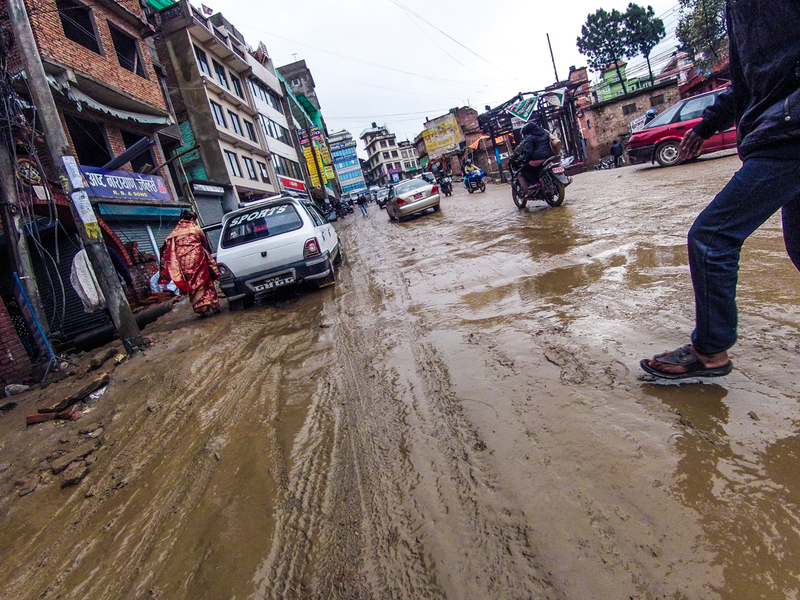 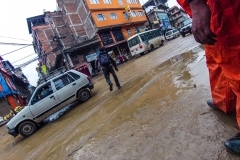 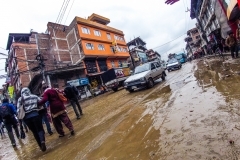 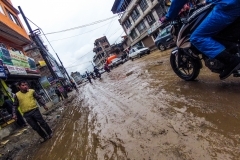 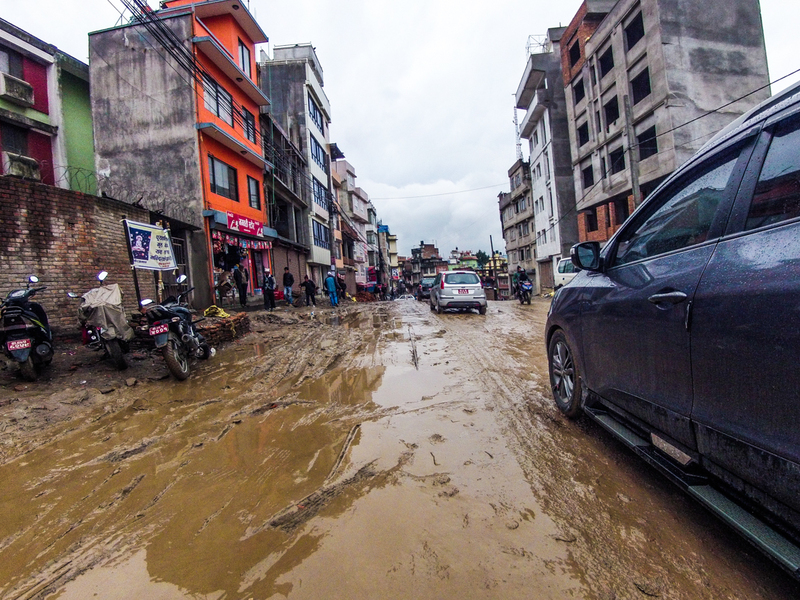 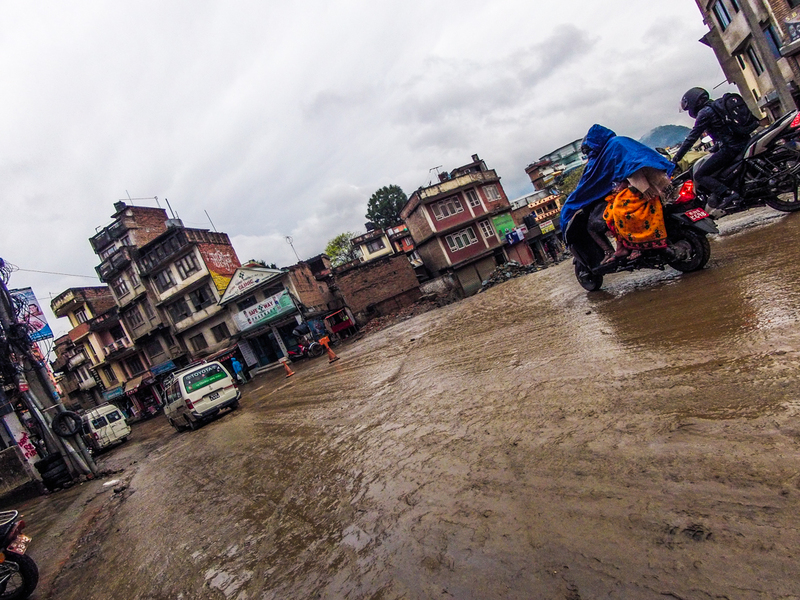 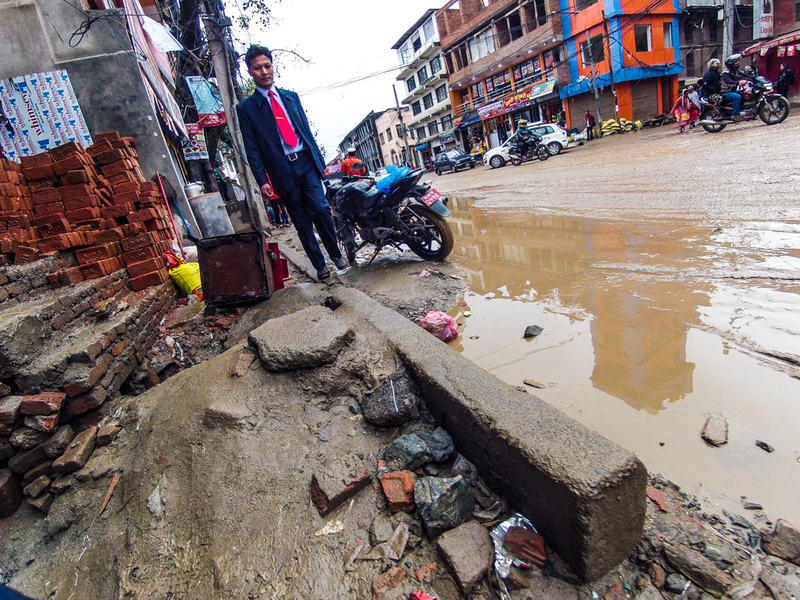 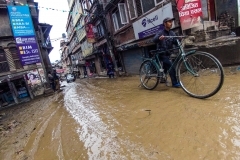 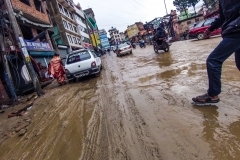 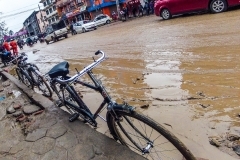 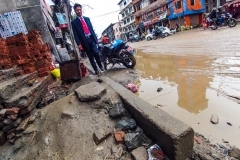 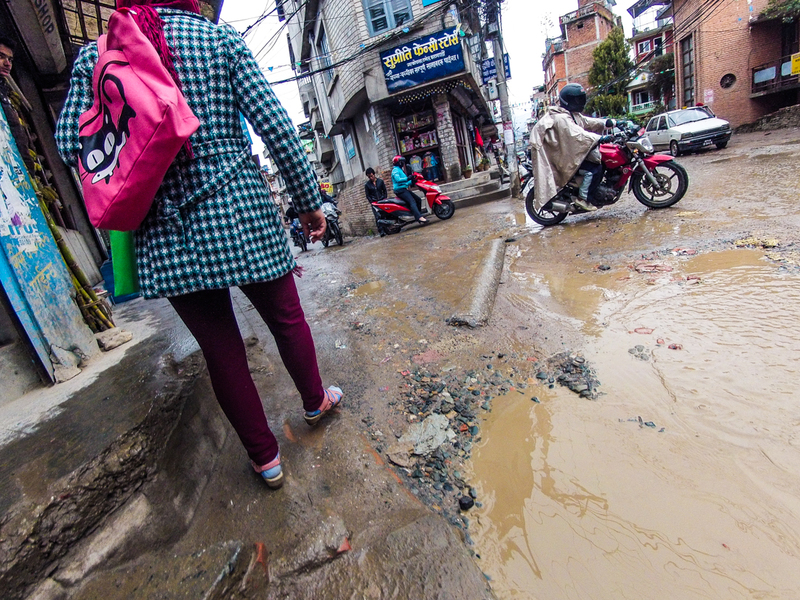 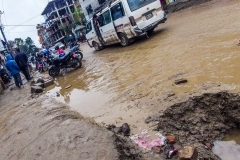 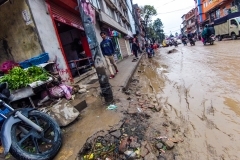 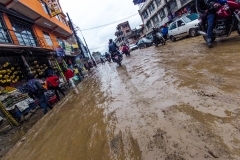 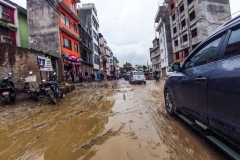 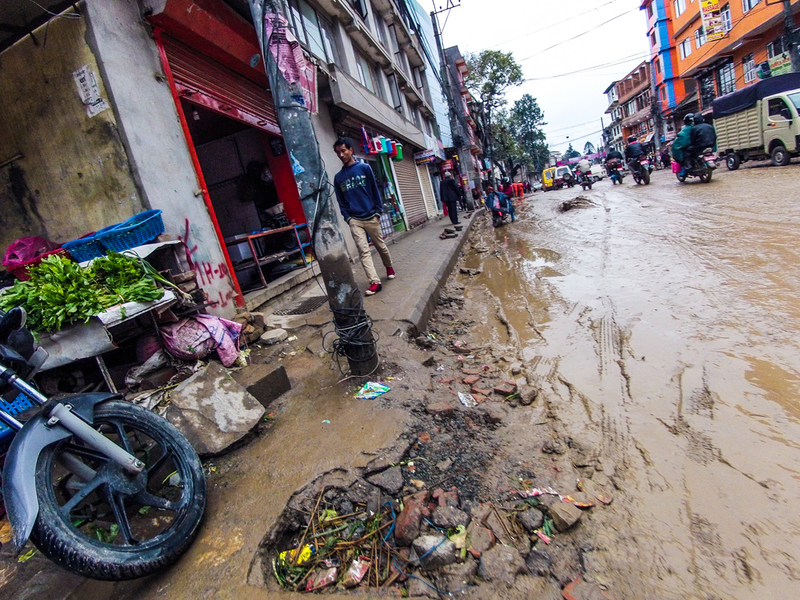 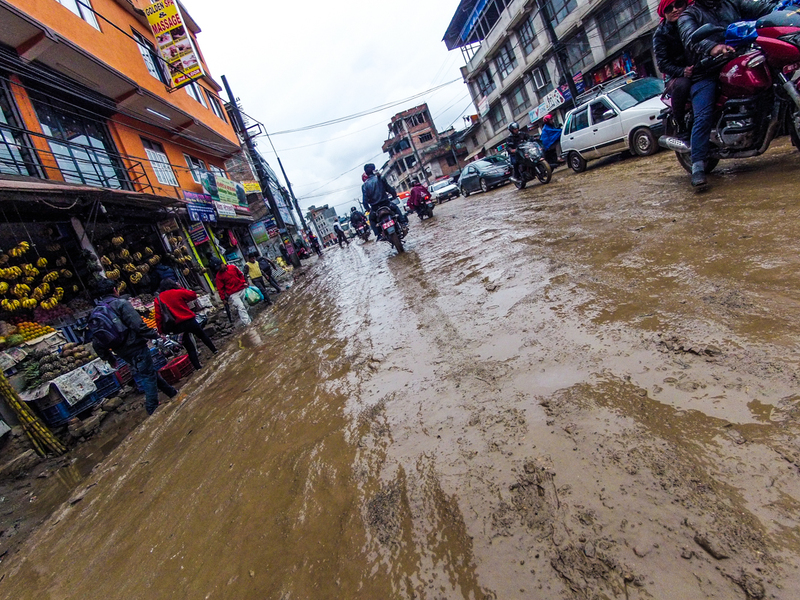 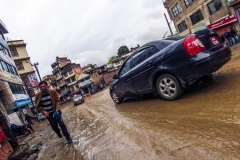 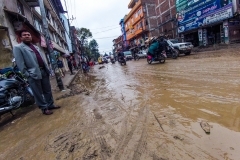 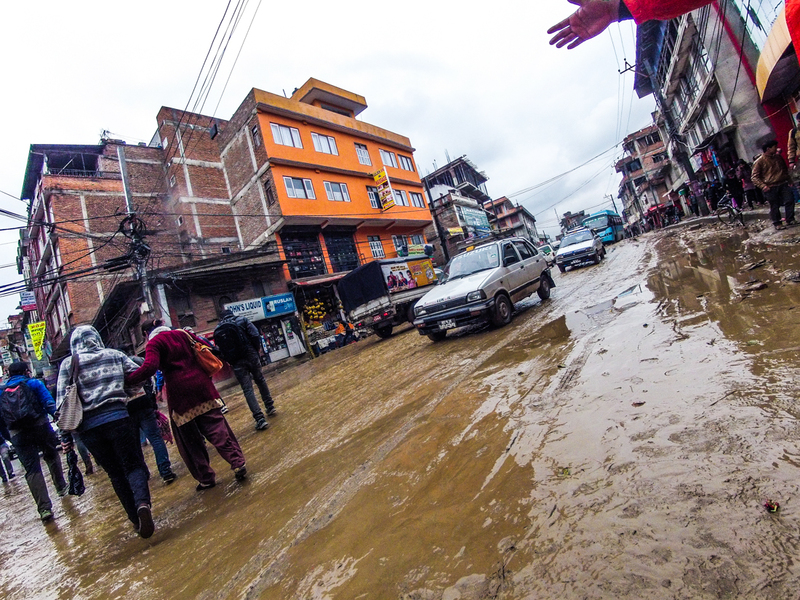 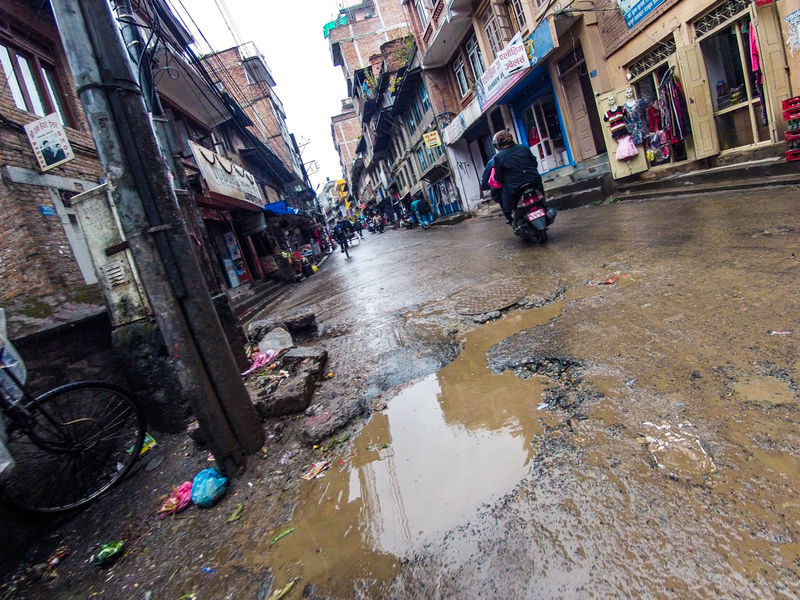 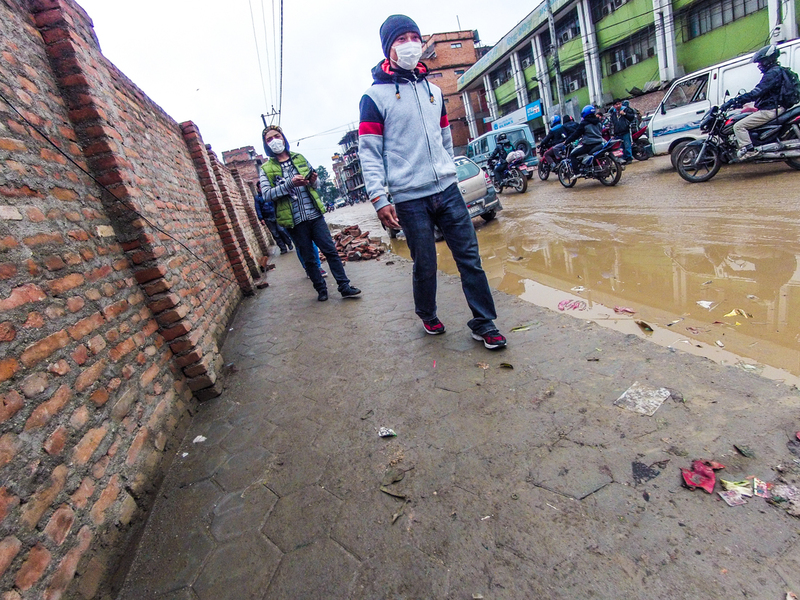 Most of my walks in Kathmandu have been in hot-dry and dusty conditions, walking in the rain was so refreshing, though slightly treacherous on the muddy streets. 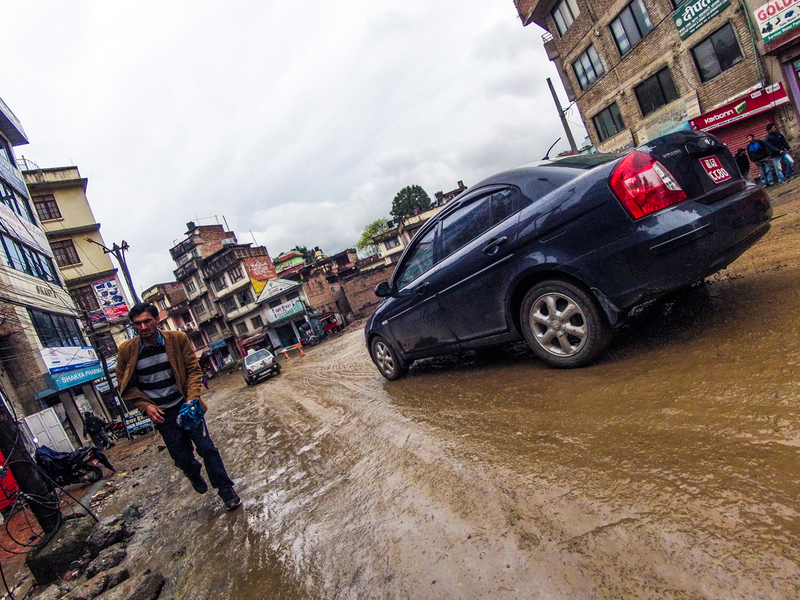 All photos taken using a GoPro Hero 2 and (over) processed in Lightroom. 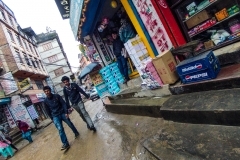 Images were intentionally not rotated to ‘level’- random images at random orientation. 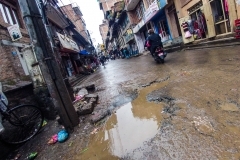 Click on the first thumbnail and it will enlarge. 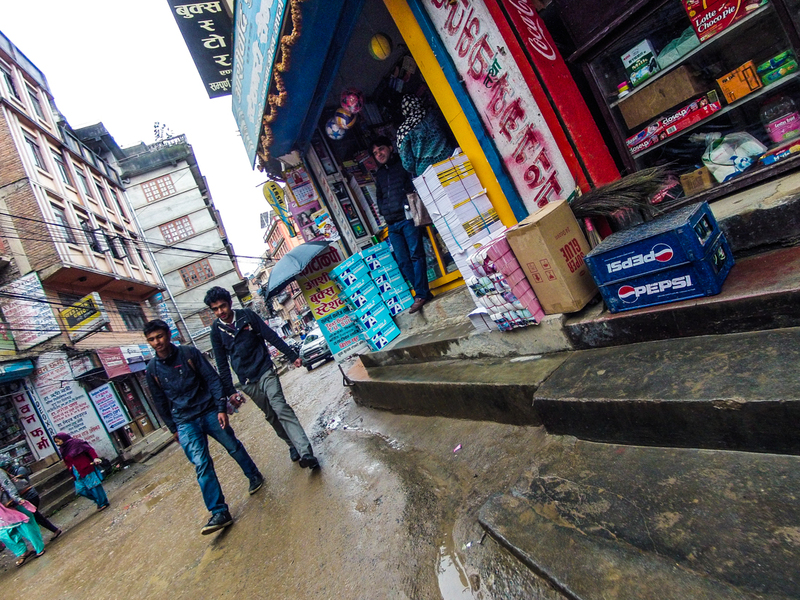 Form there you can scroll through the larger images to see the whole collection. 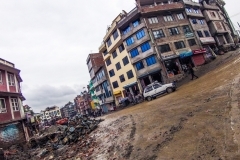 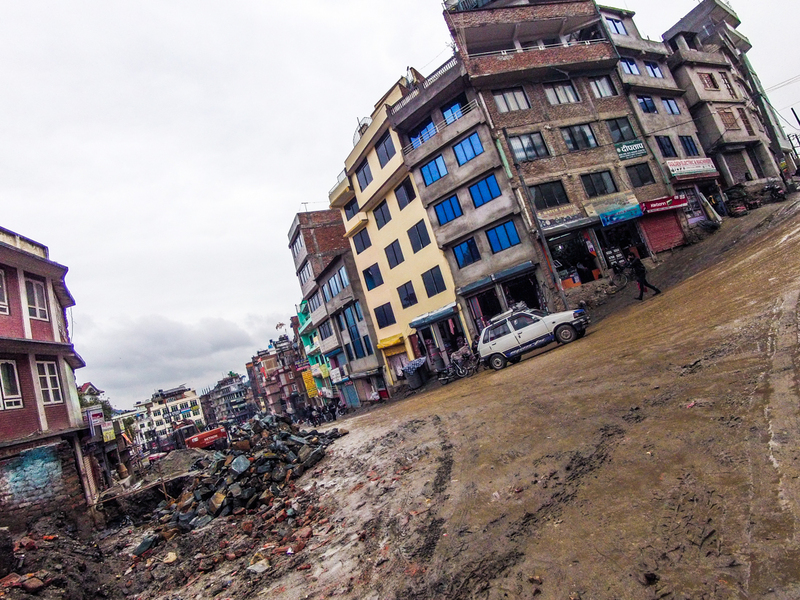 After the strong (7.8) earthquake that struck the Kathmandu Valley on April 25, 2015 and the many aftershocks, many of the modern and historic buildings and roads shown in these photos have been extensively damaged or destroyed, and thousands of deaths and injuries.